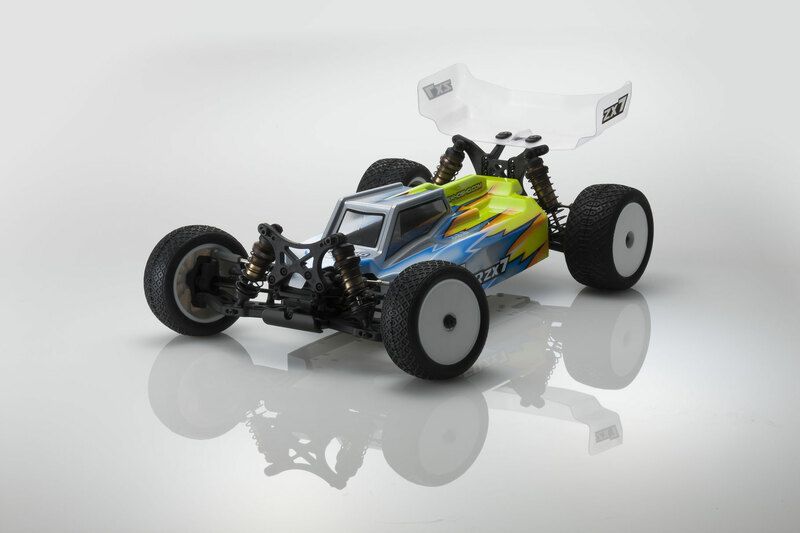 ◆ Chassis : The new chassis is 4mm shorter and is made of 2.5mm 7075 Hard Anodized Aluminum chassis. New aluminum material has better flex feel then the current one. Increases corner speed and air posture on high grip surfaces. 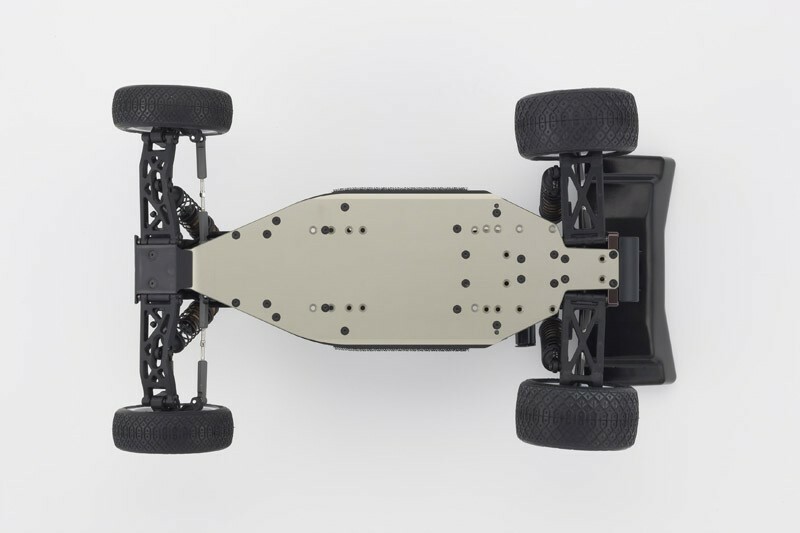 Previously the chassis was 3mm and the new one is 2.5mm and lighter. 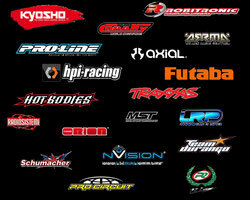 ◆ Front Knuckles/Hub : The new knuckles are another key in improving corner speed. New hubs are more durable. New updated ackerman locations. 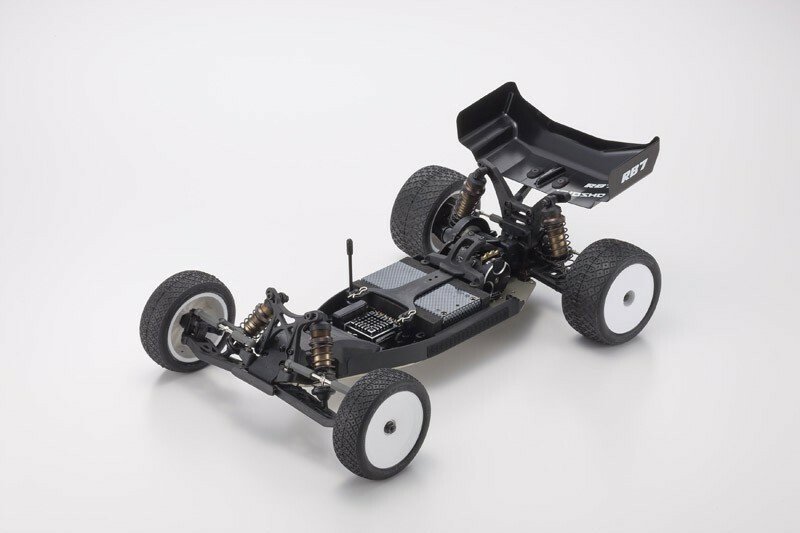 ◆ New Body : The new body shape with vertical fins allow more grip and stability. 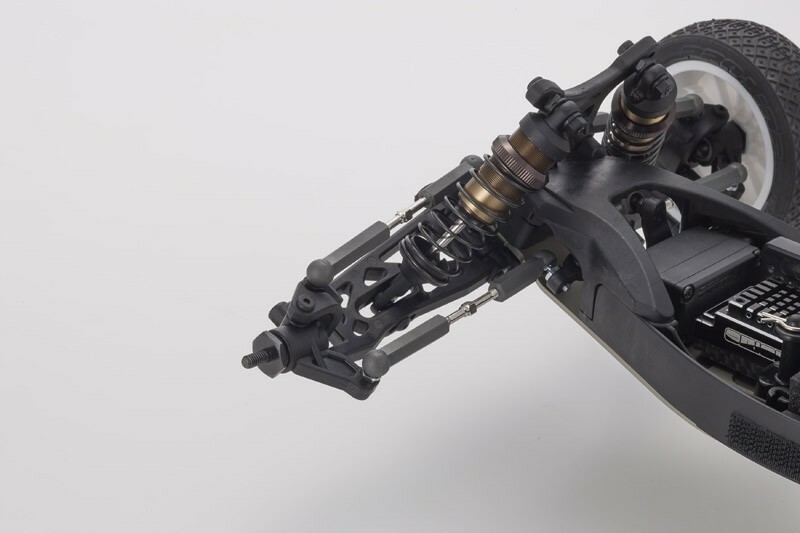 ◆ Front Suspension Arm : New design is a gull-wing type which allows the shocks to stay lower and more accurate damping. 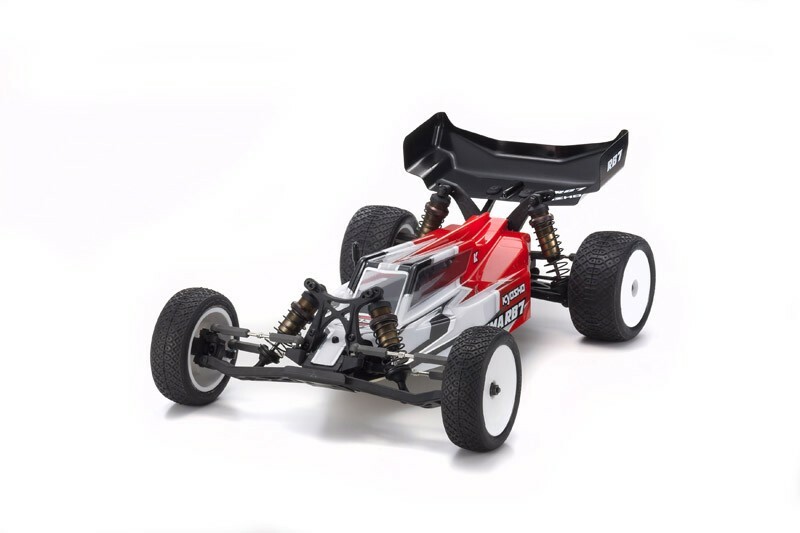 New design will be compatible with optional sway bars for carpet surfaces. 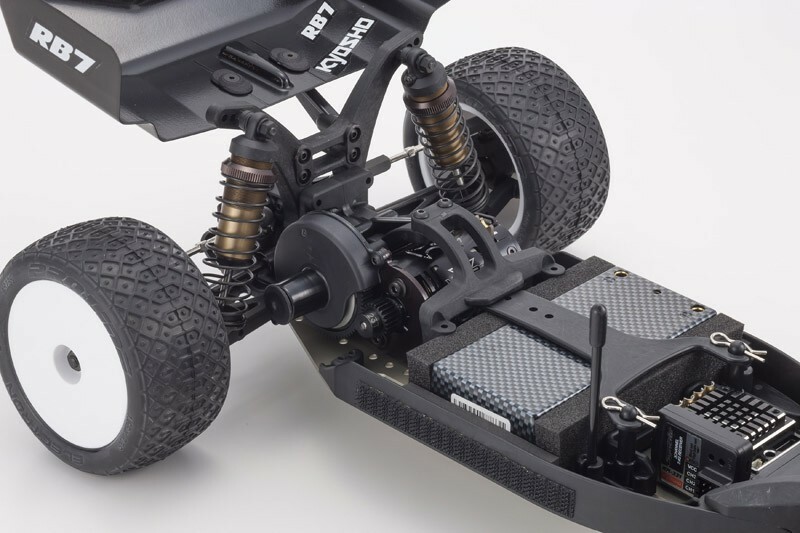 ◆ Front Shock Tower : The new lowered carbon composite shock tower. 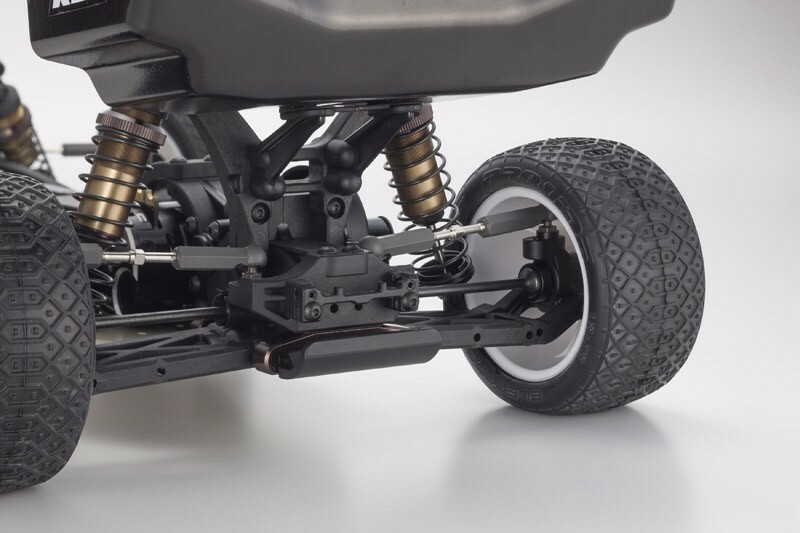 ◆ Rear Suspension Arm : The inside area has been modified to fit bushings for more tuning options(Long or short arm configuration). 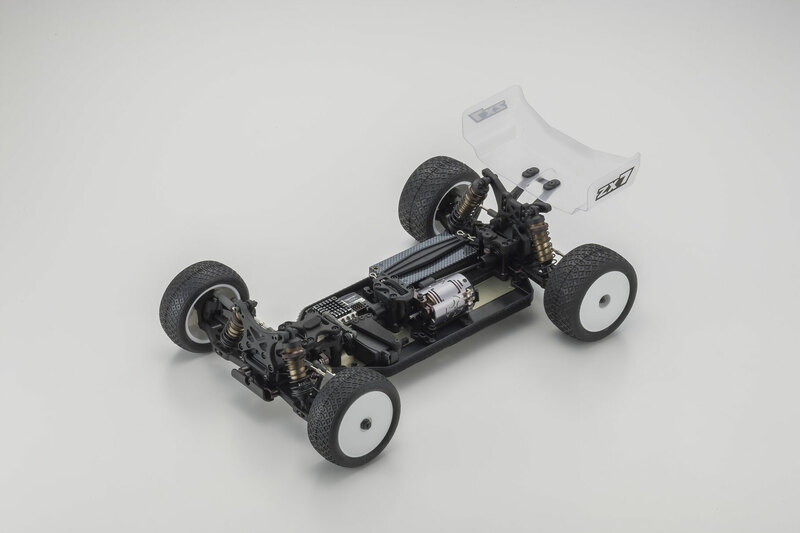 ◆ Includes Rear Aluminum Suspension Holders(UMW705B&UMW707). ◆ New Wing and Wing Stay : New high down force wing design! New wing mount design features a larger base with a screw on fixture. 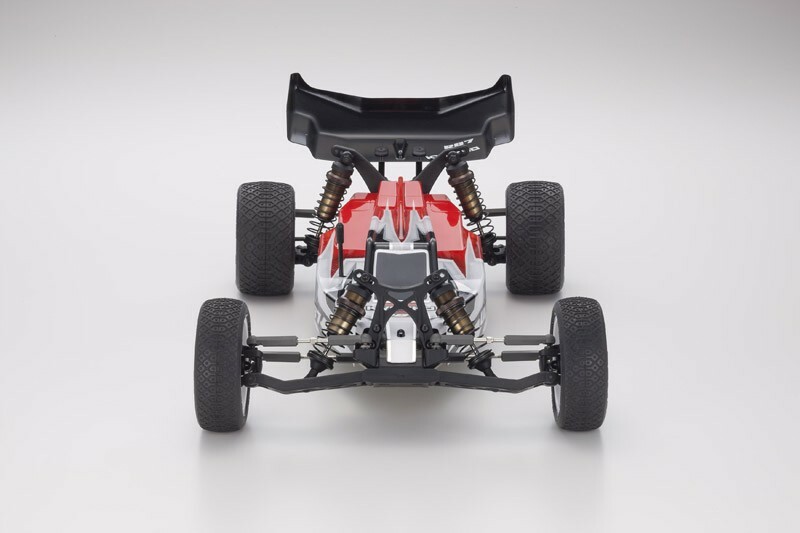 More rigid wing mounting design allowing more traction. ◆ Center Mount : New center mount design. 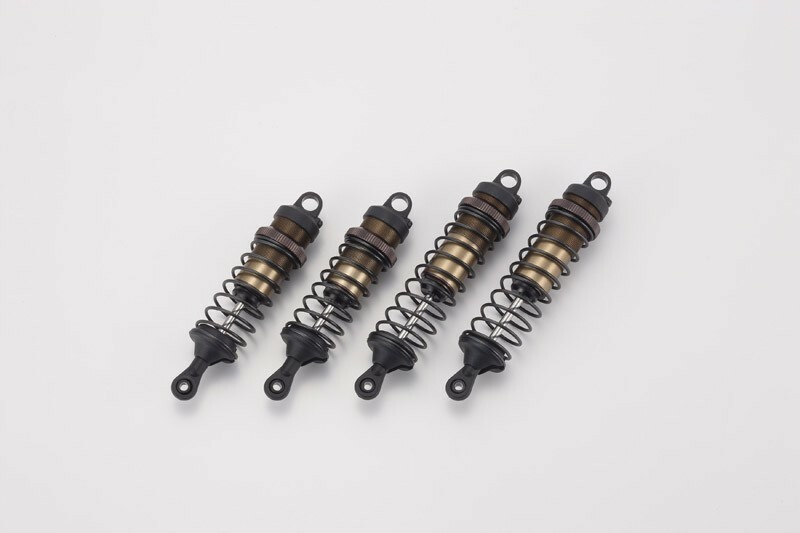 ◆ Revised shocks : stock comes with 2 hole Includes short spring cups to for carpet tracks(lower ride height). Shock caps are now plastic types to cope with bumpy tracks. ◆ Updated universal swing shafts : Ring capture protects the pins from dropping out on high grip tracks. ◆ The car will come with ball diffs. ◆ Velvet coated big bore shocks with X-Gear springs. Der neue Lazer ZX-7: Entwickelt um auf den Podien dieser Welt zu siegen. ●Motoreinschubfach zur leichteren Entnahme des Motors. ●Front und Heck sind mit Kardangelenkwellen ausgestattet. ●Lenkachse aus Aluminium für eine exakte, lineare Lenkung. ●Beinhaltet X-Gear Graphit-Schmiermittel und Stoßdämpfer.